Although we could run Enthusiast settings and swathes of anti-aliasing, these are still mid-range offerings and so we'd rather have realistic settings and playable frame-rates than massive settings just for the sake of it. It's probably about what we'd expect to see from the cards here. The HD6870 really is that bit more powerful than the GTX460 and the limited PhysX usage in Crysis Warhead doesn't allow the GTX460 to overcome that. 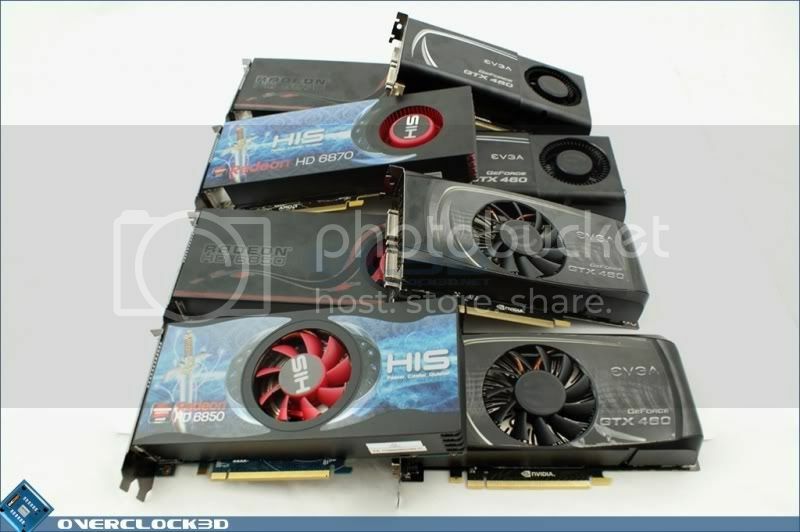 One thing is clear though and that is the eye-candy on offer definitely prefers the 1GB GTX460 over the 768MB version. Such is the lack of optimisation in the Crytek engine that none of our overclocks give a massive gain, merely a frame or two here or there. The only card that really gets a good lump of extra performance is the GTX460 768MB which goes from 7 frames behind the HD6850, to 3 frames ahead of it. An 8 frame per second increase. Exactly the kind of thing we love to see from a middle-priced card. Once we move into Crossfire and SLI territory we can see the limitations of Crysis Warhead. All four cards giving nearly identical average frame-rates. The 1GB GTX460 just edges in front, but besides a big moment in the minimum frame-rate for the HD6850, they really are inseparable. Overclocking doesn't seem to make a large difference either. It does allow the nVidia offerings to just sneak ahead, but we're still dealing in only the odd extra frame rather than massive leaps. What starts as a comfortable win for the single stock HD6870 ends up being a GTX460 1GB game by the time we have two overclocked cards running. We really can't wait for Crysis 2 in the hope Crytek have made an effort this time.